"Children are the living messages we send to a time we will not see" - John W. Whitehead - "The Stealing of America" - 1983. The question of whether children and young persons are permitted to give evidence in court has a long and convoluted history. Until quite recent times, there was a view that such evidence was unreliable and the law leaned against its reception. However, the modern trend in criminal cases is, subject to certain safeguards, to allow the evidence to be presented. To that end, persons (irrespective of age) are now seen as "competent" to give evidence though it is permissible for the trial judge to rule otherwise - (Youth Justice and Criminal Evidence Act 1999 s.53 and the test for competence (if the issue is raised) is set out in s.54). Important initiatives such as "Achieving Best Evidence" exist to try to ensure that evidence given is as reliable as possible. Furthermore, appropriate "special measures" would usually be applied. In civil cases, children and young persons may give evidence provided that, in the court's opinion, the person understands that it is his duty to speak the truth; and he has sufficient understanding to justify his evidence being heard - Children Act 1989 s.96. Broadly speaking, a person aged 14 or over would give their evidence sworn (i.e. on oath). Despite these very significant developments, in proceedings relating to the care of a child or young person, there has been a reluctance by the courts to call children as witnesses. This has been based on welfare concerns. In the case of W (Children)  EWCA Civ 57, just decided by the Court of Appeal (Civil Division), this matter has come to a head. The case concerns a man accused of serious sexual offending against a girl C (now aged 14). C is the accuser and the man wished her to be called as a witness and to have her cross-examined. Initially, all parties had agreed to this but the judge (in the County Court) indicated that she wished to hear further argument on the point. The local authority and the guardian subsequently altered their view but the man did not - (see para. 11 of the Court of Appeal judgment). The judge ruled against the man and based her decision on the case law of the Court of Appeal . The Court of Appeal, following its own case law (paras. 21-24), upheld the decision of the County Court judge. Lords Justice Wall and Wilson pointed out the many issues which could arise in courts taking the evidence of children/young persons - see para.30. They stated that they intended to send their judgment to the President of the Family Division who could decide whether to take the issues further - e.g. by reference to the Family Justice Council. Lord Justice Rimer was particularly critical of the existing case law even though, as a matter of precedent, it was binding on the court. He was particularly concerned at the potential for unfairness if the man, against whom very serious charges were being made, could not have C called to give evidence and have it tested by cross-examination. Nevertheless, given the binding case law, he agreed with Wall and Wilson LJJ that the judge's decision should be upheld. The case has been expedited for a hearing before the Supreme Court and will be heard over 2 days: Monday 1st and Tuesday 2nd March. This is an indication of the importance attached to this point. It should be noted that in any criminal case a witness such as C would undoubtedly be called and subjected to cross-examination. Student Point: The law student might wish to consider this case in the light of the doctrine of binding precedent: Young v Bristol Aeroplane 1 KB 718 - Court of Appeal is bound by its own previous decisions except (1) where two or more decisions conflict; (2) decision contrary to decision of the House of Lords (now Supreme Court); (3) previous decision was "per incuriam." Point (3) was considered in the W (Children) case but the judges decided it did not apply. Note that a previous decision binds the present court even if one or more of the present judges sat on the earlier case. That was the situation here. Addendum 3rd March 2010: The Supreme Court decision is here. Lady Hale delivered a single and commendably short judgment for the court. It creates a change of emphasis and moves away from effectively having a presumption that the child would not be called to give evidence unless someone seeking to call the child is able to rebut the presumption. This change is not likely to result in a massive change of the current practice against calling the child (e.g. for cross-examination). For the future, the welfare interests of the child will continue to carry great weight but those interests will be weighed in the balance along with other factors in the case. Some factors for consideration are referred to by the Supreme Court in the judgment at paras. 25 and 26. The actual W(Children) case has been returned to the judge for a decision in the light of the Supreme Court's judgment. Also, the President of the Family Division has referred the issue of taking children's evidence in care proceedings to a multi-disciplinary committee to be chaired by Lord Justice Thorpe. Here is the outcome of the problem raised by an e-mail to the judges after the Court of Appeal had delivered its draft judgment in the Binyam Mohamed case. "Law and Lawyers" considered the Binyam Mohamed case here. The revised paragraph 168 of Lord Neuberger MR's judgment contains this - " ... as the evidence showed, some Security Services officials appear to have a dubious record relating to actual involvement, and frankness about any such involvement, with the mistreatment of Mr Mohamed when he was held at the behest of US officials." See The Independent 26th February. 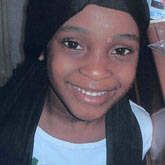 Khyra Ishaq was aged 7 when she starved to death in squalid conditions in Birmingham. Khyra's siblings have been the subject of care proceedings and the judge, Mrs Justice King, concluded that, in all probability, Khyra would not have died had there been an adequate initial assessment by social services and proper adherence by educational welfare services to their own guidance. The Birmingham Local Safeguarding Children Board have yet to complete a Serious Case review. The Department for Children, Schools and Families has made this statement. Khyra's mother (Angela Gordon) and her partner (Junaid Abuhamza) stand convicted of manslaughter. Pleas of guilty to manslaughter based on diminished responsibility were accepted - (during the sixth week of a re-trial) - after psychiatric reports were presented. They are to be sentenced in the near future. The reality is that we have a good legal structure for protecting children and yet these tragedies continue to occur. How to prevent them appears to be the elusive issue and, no doubt, the reviews will lead to yet more recommendations. Key elements in the cases often seem to be that concerns were not thoroughly investigated or that legal proceedings were not commenced soon enough. The child at risk of "significant harm" can be protected by the obtaining of an interim care order. It is not necessary to wait for actual harm to occur since "likelihood" of significant harm suffices. Whilst local authorities have (as public bodies) to consider the Right to Respect for Private Family Life (Article 8 European Convention on Human Rights), initiation of proceedings is sometimes delayed until there is a considerable amount of evidence available and, sometimes, much more evidence than would justify a finding of likelihood of significant harm under the Children Act 1989 s.31. See Daily Telegraph 26th February 2010. One side-effect of this case might turn out to be restrictions imposed on home-schooling - Daily Telegraph. The latest round of Queen's Counsel appointments has been announced with 129 appointees to this elite "kite-mark of excellence" rank in the legal profession - see Ministry of Justice. I have little doubt that all the appointees deserve this distinction but, whilst the champagne corks are popping in Chambers, it has to be seriously questioned whether the rank is necessary. Whose interests does it serve: the public or the lawyers? A few years ago the rank survived an attack by the Office of Fair Trading. Will it continue to survive into the future? Complicity in Suicide - New Guidelines but ....? In the Purdy case  UKHL 45, the House of Lords required the Director of Public Prosecutions to issue an offence-specific Policy setting out the facts and circumstances which would be considered in making a decision whether to prosecute a person for encouraging or assisting suicide (or attempted suicide) under section 2 of the Suicide Act 1961. The Policy has now been issued - see Crown Prosecution Service. Section 2 of the 1961 Act was recently amended by the Coroners and Justice Act 2009 s.59. The essence of the offence is doing an act which is capable of encouraging or assisting another to commit suicide (or attempt suicide) with INTENT that the other is encouraged or assisted. The maximum sentence of 14 years imprisonment was retained. The Policy document does not contain an exhaustive list of factors but 16 factors are set out which would tend toward a prosecution and 6 factors which would point against. The CPS emphasize that a "tick box" approach will not necessarily make the decision. Looking at the Policy, it continues to be somewhat unclear whether a loving husband who purchases travel tickets for his wife, for whom life has become unbearable as a result of progessive disease such as Multiple Sclerosis, to travel to a certain clinic in Switzerland might be liable to prosecution. The Policy, whilst not changing the law, might make matters somewhat clearer in some cases but there would still be an investigation with no advance certainty as to the possible outcome. A prosecution might still follow. Only time and a tragic case will inform us further. One of the safety valves of the criminal process is that the Attorney-General may refer (under the Criminal Justice Act 1988 s36) sentences to the Court of Appeal if she considers them to be unduly lenient. It is a most useful provision. The case of Harpal Singh Moore is one where a sentence has been doubled. He had applied (a number of times) a hot iron to his wife's face causing serious injury. Hallett LJ described the offence as a "brutal, sustained act of cruelty." The Court of Appeal considered that a sentence of 5 years imprisonment was right even though Harpal Singh Moore had been described as of "good character" and had no previous convictions for violence. This increase of sentence is to be welcomed. See the Attorney-General's website for details. The present government has, rightly in my opinion, mounted a strong campaign to tackle the serious issue of domestic violence - see Home Office. Specialist Domestic Violence Courts (SDVC) have been set up based on a number of existing Magistrates' Courts - see Ministry of Justice March 2009. The approach taken to these cases is one involving several criminal justice agencies and is to be welcomed. The message is that domestic violence will be taken seriously. Justices of the Peace - The Ministry of Justice has announced a consultation about proposed changes to the system for appointing Justices of the Peace. Serving as a J.P. is a very important way in which the layman can contribute to the administration of justice. The Lord Chief Justice has recently said - "The largest part of the judiciary is formed by the magistracy. The 29,000 or so Justices of the Peace who sit in magistrates’ courts deal with more than 95 per cent of all criminal cases, as well as a significant proportion of family cases. The administration of justice in England and Wales would collapse without the contribution made by men and women volunteering to serve their local communities. I believe society owes them a huge debt and I am not sure that their value is always appreciated" - Lord Chief Justice's Review of the Administration of Justice in the Courts. The Advisory Panel on Judicial Diversity has published a report containing 53 recommendations aimed at improving diversity within the professional judiciary. See Ministry of Justice News Release and the Panel Report. For a view on this report see "Mr Justice Elephant in the Room" at CharonQC's blog. I have long thought that the advent of the Supreme Court of the United Kingdom would start a process which will end up with some form of "Confirmation Hearings" before someone can be appointed as a Justice. The excellent Supreme Court blog carries an item on this very issue. A new Code for Crown Prosecutors came into force 22nd February 2010. The Code is made by virtue of the Prosecution of Offenders Act 1985 s.10. On this occasion it has been issued in 12 languages. 2] Is a prosecution in the public interest. If test  is met, a prosecution will usually take place unless the prosecutor is sure that there are public interest factors tending against prosecution which outweigh those tending in favour, or unless the prosecutor is satisfied that the public interest may be properly served, in the first instance, by offering the offender the opportunity to have the matter dealt with by an out-of-court disposal. Section 7 of the Code deals with Out of Court Disposals. "The prosecution service is responsible for deciding whether to offer an offender a conditional caution in certain cases. In such cases, the Full Code Test must be met. Prosecutors will offer a conditional caution where it is a proportionate response to the seriousness and the consequences of the offending and where the conditions offered meet the aims of rehabilitation, reparation or punishment within the terms of the Criminal Justice Act 2003." "A conditional caution is not a criminal conviction but it forms part of the offender’s criminal record and may be cited in court in any subsequent proceedings." If extensive use were to be made of conditional cautioning then a very considerable number of offenders might never see the inside of a Magistrates' Court unless proceedings are brought for breach of the caution. Another "out of court possibility" is a simple caution and the CPS may suggest that the Police issue a Penalty Notice for Disorder. In December 2009, a review was announced of the use of out of court disposals. The review will report in March. Section 11 is also interesting. It deals with the prosecutor's role in assisting a sentencing court and states that the prosecutor may assist the court in determining the appropriate "sentencing range". This document is required reading for anyone seriously interested in the criminal law. Inferences drawn in criminal cases: Are they fair? Criminal law offers a considerable number of instances in which appropriate inferences may be drawn. 1. Sometimes, there may be adverse comment by a trial judge on the fact that a witness (other than the defendant's spouse) has not been called as a witness: R v Khan  Crim LR 673, CA. 2. Whilst the prosecution may not comment on the failure by the defence to call the spouse of a defendant (see Police and Criminal Evidence Act 1984 s80A), the judge may do so though the matter requires a great deal of circumspection. 3. A refusal without good cause to provide an intimate sample may lead to the court drawing such inferences as appear proper: Police and Criminal Evidence Act 1984 s62(10). [There is no similar provision for non-intimate samples since, subject to compliance with the statutory conditions, reasonable force may be used to take those]. 4. In a Crown Court trial, failure to provide advance disclosure of the defence case may lead to proper adverse inferences: Criminal Procedure and Investigations Act 1996. This is a complex area of criminal process and the rules relating to disclosure of evidence were radically amended by the Criminal Justice Act 2003.
c) Failure to testify at trial. The 1994 Act made a major breach in the ancient "right to silence." The defendant still retains a right to remain silent but runs the risk of "proper" inferences being drawn. The whole basis of these provisions is that the innocent person protests his innocence and offers an explanation. These "right to silence" provisions have been particularly controversial and have spawned an enormous volume of case law. The Royal Commission on Criminal Justice reported in July 1993 and recommended that adverse inferences should not be drawn from silence at the police station but a majority of the Commissioners recommended that, once the prosecution case had been fully disclosed, defendants should be required to offer an answer to the charges made against them at the risk of adverse comment at trial on any new defence they then disclose or any departure from the defence which they previously disclosed. Needless to say, the government of the day did not go along with the Royal Commission's research-based recommendation. Here is an interesting article dated 27th July 1994 by Professor Adrian Zuckerman. Peter Blake, a man on trial before Mr Justice Treacey, has absconded. He is one of 4 men standing trial together before a judge alone. The alleged offences date back to a robbery at Heathrow Airport in February 2004. See The Independent 19th February 2010. It appears that Blake was granted bail with various conditions and a surety of £260,000 some of which was about to be withdrawn. In R v TR and others  EWCA Crim 1035 the Court of Appeal granted an application by the Crown to hold this trial without a jury because of allegations of jury tampering. A previous trial had been abandoned for that reason. 1. The first trial was in 2005. In 2007, following the arrests on different occasions of two of the present respondents, B and H, and the partial recovery from illness of T, three respondents stood their trial at the Central Criminal Court before His Honour Judge Roberts and a jury. This trial lasted for more than six months. By the time the judge came to sum up the jury had diminished to ten. After they had been in retirement for two days a note was sent to the trial judge which indicated that the jury had reached "on all defendants on all counts a very strong majority decision". As there was a Bank Holiday weekend ahead, the judge stated that he would not give a majority direction and take verdicts but, to assist the defence considering any submissions about the timing of such a direction he indicated that the verdicts were likely to be adverse to them. Nine Jurors returned to court after the Bank Holiday. A tenth juror said that he was under stress and refused to return to court. He was therefore discharged. With only nine jurors left, a majority veridct was no longer available and therefore the appropriate direction was not given. The jury was unable to reach unanimous verdicts. Pending a retrial the respondents were granted conditional bail. A majority verdict is possible (if the judge agrees). A majority means 10 out of either 11 or 12, or, 9 out of 10. To say the least, that was a very unfortunate series of events. 3. The third trial started in June 2008 and was brought to an end in December 2008 when the judge discharged the jury. It is clear that the judge found a serious attempt at jury tampering had occurred and there was a real and present danger that it would happen again. 4. At a hearing in March 2009, Calvert Smith J was satisfied that there was a risk of jury tampering but he considered that protective measures could be put in place to manage the risk. 5. June 2009, the Court of Appeal disagreed with Calvert Smith J on the point that measures could be put in place to manage the risk and so they ordered a non-jury trial under the Criminal Justice Act 2003 s.44. I have little doubt that many people will be wondering just how has it come about that these men are on bail. It is certainly not entirely easy to square that with the point that there has been a serious risk of jury tampering. Bail was granted in 2007 when the second trial concluded and it seems that there was no further application to remand the defendants into custody. The trial continues without Peter Blake and a warrant has been issued for his arrest. Just a point about sureties. Money is not actually paid into court. A surety may lose all or part of the money if the defendant fails to attend court but there has to be hearing to determine these questions. Sureties rest on the assumption that, somehow, the person offering the money has some "control" or influence over the defendant. Surely that must be a moot point in some cases. Before the Constitutional Reform Act 2005 Part 4 the appointment of judges was something of a mysterious process managed by the Lord Chancellor who was, at the time, head of the judiciary. The whole process was likened to a "tap on the shoulder." The system appeared to appoint judges who were generally of high calibre but they tended to be mainly of similar background. Graduates of Oxford and Cambridge figured largely among the appointees. Most had been barristers and the majority had been appointed Queen's Counsel. Since the 1960s more and more women came to practise law but a mere handful of them made appointment to the High Court or above and, to date, only one has attained the highest level as a Justice of the Supreme Court. Since the 2005 Act there has been a Judicial Appointments Commission (JAC). The Act requires that selection has to be "solely on merit" (s.63) but, by s,64, the JAC has to have regard to the need to encourage diversity in the range of persons available for selection for appointments - in effect looking at a wider pool of lawyers. The Lord Chancellor - (the title was retained for certain purposes even though the head of the judiciary became the Lord Chief Justice) - issues "guidance" regarding procedures for identifying persons willing to be considered and for assessing such persons and the guidance will address "diversity" issues. Vacancies are now advertised and applicants are subjected to selection tests and selection days involving interviews and role play. It appears that throughout the entire process there is considerable emphasis on "diversity." In an article in the Law Society Gazette (18th February), Baroness Prashar (JAC Chairman) gives us some insight into the work which has been done to improve diversity. She maintains that progress is being made on diversity whilst continuing to maintain excellence. She also indicates that some people - (does not say who) - wish to change the system so that Ministers choose from a short list handed to them by the JAC but adds that such a change would be a retrograde step. A full examination of the Act Part 4 will reveal that a considerable role was retained for the Lord Chancellor particularly in relation to making the most senior appointments. A point which is somewhat noticeable is that few of those appointed as Circuit Judges - (i.e. at Crown Court and County Court level) - are further promoted to the High Court. Why is this? The mechanics of the appointment process are now clearer. Assessment of the success (or otherwise) of the process is likely to take a lengthy time and that begins to beg the question - just how are the judges assessed? There has been intensive media coverage of the Court of Appeal judgment in R (Mohamed) v Secretary of State for Foreign and Commonwealth Affairs  EWCA Civ 65. . Also, lawyers for leading British and American media organisations have approached the Court of Appeal asking that a paragraph, seemingly included in their draft judgment be reinstated. This move has come after the disclosure that Mr Jonathan Sumption QC (for the Foreign Secretary) wrote to the judges expessing concern at its wording. This move angered other parties to the case and, it seems, breached an ancient rule that one party to a case must not communicate with the judges without informing the other parties. [A point of "natural justice" or fairness surely?]. See The Times 16th February. A hearing was held today and a judgment on the point is expected very soon. In a further article in The Times it is argued by David Davis MP that our courts must do better at standing up to bullies. He goes further and argues for an Inquiry into whole Binyam Mohamed issue. Maybe, but that takes one back to the problematical Inquiries Act 2005 which gives Ministers considerable powers of control over any inquiry they set up. It is debatable whether such an inquiry would satisfy public concern. It is worth noting a few things about the Binyam Mohamed Judgment. (1) - it was heard by a Court of Appeal comprising the Lord Chief Justice, the Master of the Rolls and the President of the Queens Bench Division. That is a powerful (or as lawyers say "strong") court. (2) - it is a very thoughtful and detailed judgment which is highly respectful of the rights of the executive to make decisions. (3) - it decides that it is the court which decides whether a government claim of serious damage to national security requires parts of a judgment to be left out. (4) - the principle was upheld that intelligence material provided by another country should remain confidential to the country providing it and should not be disclosed by the receiving country without agreement of the provider. (5) - The United States District Court for the District of Columbia had decided Farhi Saeed Bin Mohamed v Barak Obama (19th November 2009). (6) - In that case it had been stated that the US government did not challange or deny the accuracy of the complainant's grievance. (7) - in those circumstances there was no appreciable risk to national security. (8) - were it not for the US court's judgment, there would not have been justification to run a risk (even a "pretty slender risk" - per Lord Neuberger MR) that national security might be compromised. Hence, but for the US court having effectively made the whole issue public, the Court of Appeal would have upheld the Foreign Secretary's claim. This is perhaps another Spycatcher moment? As Sir Anthony May put it - "... the decision of the US court shifted the already fine balance in the present case against the exclusion of the paragraphs. The Foreign Secretary's case now sought to defend a principle entirely devoid of factual content on which to hang it." In recent times, the Police have acquired some very remarkable and even draconian powers. Let's face it, people driving vehicles without a driving licence or insurance are a public danger and, in 2005, Parliament decided to take tougher action to combat this menace. Motorists may not have even heard of the Road Traffic Act 1988 sections 165A and 165B. These sections were inserted into the Road Traffic Act 1988 by the Serious Organised Crime and Police Act 2005 s.152. They empower a Police Officer in Uniform to seize vehicles in certain circumstances - e.g. is a driver is asked to produce evidence that he has a driving licence or that the vehicle is insured and the driver is unable to do so. Reasonable force may be used to seize the vehicle. As an example, consider a car which is seen by the Police using either Automatic Number Plate Recognition (ANPR) (or some other method) and is stopped because the Police Check indicates that it is uninsured. The driver is unable to prove there and then that he is insured. The vehicle is seized and impounded. 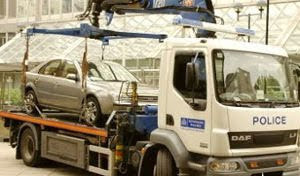 The driver is then faced with considerable costs to recover the vehicle even when he is subsequently able to show that, at the relevant time, the vehicle was insured. This works on the assumption that the Police information is infallible. Sadly, that is not necessarily always the case and you could be left stranded miles from home and, possibly, in dangerous or, at best, undesirable circumstances. Similar consequences can follow if a driver is not able to produce his driving licence and counterpart immediately. You can check here whether your vehicle shows up as being insured - but don't blame me if the Police technology tells them otherwise ! It appears that some Police Forces are now using this power on a much more frequent basis. Here is one example from the Metropolitan Police - Justice Seen: Justice Done. If the vehicle was genuinely uninsured or the driver was driving "otherwise than in accordance with a licence" then fair enough but what if the technology was fallible and the driver was unable to prove his innocence there and then? You have been warned ! The Lord Chief Justice has published his "Review of the Adminstration of Justice in the Courts." The Review covers the legal year 1st October 2008 to 30th September 2009. 1. Concern is raised (para. 2.12) about the use of out-of-court methods of dealing with offenders - such as fixed penalty notices, cautions and conditional cautions. Workload in most Magistrates' Courts has reduced as a result and this prompted concerns from the Magistrates' Association. Nevertheless, some use of out-of-court disposals can be defended on the basis that they avoid courts being clogged with thousands of minor offences. The problem is that there has been "mission creep" and some serious matters now being dealt with in these ways - e.g. by conditional cautions. In December 2009 the government announced a review of the use of these methods. 2. The sheer amount of new criminal justice legislation is criticised (para. 2.13). An example from 2003 is given - 5 Acts containing 1118 sections, 68 schedules and 2268 paragraphs. Subsequent years have certainly not brought any respite. 3. Means testing in the Crown Court receives the comment from the Lord Chief Justice that it is "liable to bring about an increase in the number of defendants in person. Unrepresented defendants invariably increase the length of trials as they seek to decipher an increasingly complex legislative regime with no professional assistance." (para 2.14). In Magistrates' Courts, a defendant will only be granted a legal representation order (LRO) if he passes the means test AND if his case passes the interests of justice test. This is an unacceptable scheme which contains within it the potential to wreak severe financial hardship upon a person who has been acquitted. Has the UK been complicit in either the torture or mistreatment of prisoners? The media has been replete with articles about the Court of Appeal's judgment in R (Mohamed) v Secretary of State for Foreign and Commonwealth Affairs  EWCA Civ 65. We have also heard how efforts were made to persuade Lord Neuberger MR that his draft judgment (shown to the parties) contained paragraphs with which the Secretary of State took issue - see Reprieve. Just where does the truth lie? Has the UK been complicit in either torture or cruel or degrading treatment of prisoners? The UK has internationally binding obligations under theUnited Nations Convention against Torture or other Cruel Inhuman or Degrading Treatment or Punishment 1984. Are we complying fully with the letter and spirit of our obligations? Have we now lost the moral high ground in the fight against terrorism? My answer to  would still be a cautious "maybe" but there is mounting evidence to suggest that we are not. My answer to  would be "not yet" (as demonstrated by the Court of Appeal's actions in Mohamed) but there seems to be a danger that we might very soon lose the authority of having "right on our side." The British goverment claims that it takes its obligations seriously and that it adheres to the law - see Foreign and Commonwealth Office 12th February 2010. It appears that some MPs are pressing for changes to made to the Intelligence and Security Committee - see "How MI5 kept watchdog in the dark." See also "The men committee could have asked about MI5 and torture." Interestingly, an Inquiry has been on going into the case of Baha Mousa - Guardian 15th February. and see Baha Mousa Inquiry. This inquiry is being held under the terms of the Inquiries Act 2005. The Act has been severely criticised because of the controls which it gives to Ministers over various aspects of the inquiry. Baha Mousa was a receptionist at a hotel in Basra, Iraq and was working there on 14th September 2003 when British troops entered the hotel. He was seized, detained and taken to a British military base. At the base he was brutally beaten by British troops and died of the injuries he received. A Court-Martial of 7 soldiers was held in 2007. One, a corporal, pleaded guilty to ill-treatment of Mousa but the other defendants either had the charges against them dropped or were acquitted. In Secretary of State for Defence v Al-Skeini and others  UKHL 26 the House of Lords held that the protection of the European Convention on Human Rights extended to places such as the military base which was under British control. See also Diane Abbot MP's website for a view of this case. Deterrence is aimed at dissuading the individual from re-offending (sometimes referred to as particular deterrence) as well as dissuading others from offending (general deterrence). Whilst there is widespread belief that deterrence (in either sense) works, there has been extensive debate about whether, in reality, it is effective. Considerable discussion about Deterrence may be read at "Deterrence - The Concept ..."
The evidence for the effectiveness of general deterrence was examined by a team from Cambridge University (at the request of the Home Office) and insufficent evidence was found that increases in the severity of sentences (as distinct from the risk of detection) had a significant effect on law-breaking - ( Von Hirsch, Bottoms et. al "Criminal Deterrence" 1999). In English law, the purposes of sentencing (for adult offenders) are set out in the Criminal Justice Act 2003 s142. These are: (a) the punishment of offenders; (b) the reduction of crime (including its reduction by deterrence); (c) the reform and rehabilitation of offenders; (d) the protection of the public and (e) the making of reparation by offenders to persons affected by their offences. Item (b) is clearly based on the belief that deterrence will reduce crime. The CJA 2003 does not guide the decision-maker (judge of magistrate) as to which purpose should prevail. This is left to the decision-maker's judgment taking into account all the relevant information about (a) the offence(s), (b) the offender(s) and perhaps the impact of the offence(s) on (c) the victim(s) and (d) the "community." (c) and (d) are controversial points in themselves but are not considered further here. The various sentencing purposes can be in conflict. As Justice pointed out in 2003 - "... a rehabilitative sentence may not punish or deter; a sentence designed to deter others may inflict disproportionate punishment on this offender; a sentence aimed at punishment or deterrence may preclude the making of raparation; and so on...."
1. The legislator, or other competent authorities ....., should endeavour to declare the rationales for sentencing. 2. Where necessary, and in particular where different rationales may be in conflict, indications should be given of ways of establishing possible priorities in the application of such rationales for sentencing. 3. Wherever possible, and in particular for certain classes of offences or offenders, a primary rationale should be declared. 4. Whatever rationales for sentencing are declared, disproportionality between the seriousness of the offence and the sentence should be avoided." The Halliday Report noted the Council of Europe's recommendations and proposed that neither deterrence nor incapacitation should be relied upon as a justification for sentencing - (see Report paras. 1.65 and 1.68). Perhaps the key lies in proportionality. If this is applied to the case of a senior police officer for offences of perverting the course of justice then it is proportionality which will usually demand a stern sentence. This is justifiable by the details of the offence itself and the harm done to public confidence in the criminal justice system. Deterrence flows from such a sentence but is not the starting point for the sentencing process. During 2009, the Court of Appeal handed down judgments relating to sentencing for burglary of occupied premises and gun crime. These point to a general raising of the tariff for such offences and this makes good sense since one would generally expect stern sentences for such harmful offences. However, it would appear that proportionality remains the key - proportionate to the harm the offence does to others. The Sentencing Guidelines Council has published guidance about "Seriousness" and about sentencing for various types of offence. A man who rose to the rank of Commander in the Metropolitian Police was jailed for misconduct in public office and perverting the course of justice. Thankfully, in the United Kingdom, such cases are rare and he is the most senior officer to be jailed since 1977 - see The Independent 8th February. It is not the purpose of this blog to gloat at anyone's fall from grace but it is interesting to note that Mr Justice Simon imposed a "deterrent sentence" of 4 years imprisonment. It remains to be seen whether loss of pension rights will follow - here is the applicable regulation. Deterrence is (and always was) one of the objectives of sentencing but the words "deterrent sentence" imply a degree of extra harshness. Indeed, in a general sense, the deterrence of persons from committing offences is one of the reasons for having any form of punishment. The Criminal Justice Act 2003 put the objectives into statutory form. Maybe the need for deterrent sentencing is obvious in some cases but there is surprisingly little guidance on when such a sentence is appropriate. Suppose that there is a sudden perception that a particular crime is becoming more prevalent. Can the sudden imposition of a deterrent sentence on one individual be unfair when others have previously been sentenced for the same offence more lightly? Just when is it proper to for deterrent sentences to be imposed? It is worth noting here that Police Officers frequently face some seriously violent events and the vast majority of officers peform their work in an exemplary manner. The arrest of a man in connection with the murder of P.C. Blakelock is a reminder of this - see The Independent. In 1987, three men (Silcott, Braithwaite and Raghip) were convicted of P.C. Blakelock's murder but, in 1991, their convictions were quashed on appeal. For a history of this case see here. Their case was one of the first miscarriage of justice cases to occur after the implementation of the Police and Criminal Evidence Act 1984. In the post Money, Money, Money (below) the possibility of using parliamentary privilege as a defence to charges under the Theft Act 1968 s.17 was mentioned. [The CPS had referred to that possibility in their press release]. The concern is that Article IX of the Bill of Rights 1689 might afford a defence - "That the freedom of speech and debates or proceedings in Parliament ought not to be impeached or questioned in any court or place out of Parliament." where it is argued (persuasively) that Parliamentary privilege would not protect those who have been charged. where the views in 1998 of the Crown Prosecution Service are referred to. Those views were to the effect that Article IX could act as a serious impediment to the effective prosecution of corruption and that the phrase "proceedings in Parliament" was "far from clear." In 1999, Parliament itself published "Parliamentary Privilege - First Report." This contains a detailed discussion of Article IX of the Bill of Rights 1689. The report also made a number of recommendations which do not seem to have been actioned. They included a call for Parliament to clarify the scope of the prohibition in Article IX and that the term "proceeding in Parliament" should be defined as was the case, since 1987, in Australia. Be that as it may, Chapter 1 paragraph 12 of the 1999 report states in connection with Article IX - " .... Proceedings are broadly interpreted to mean what is said or done in the formal proceedings of either House or the committees of either House, together with conversations, letters and other documentation directly connected with those proceedings." Surely, if that statement accurately reflects the law then there would be no defence to a criminal action based on a false expenses claim. The purpose of Article IX must clearly be to enable members to conduct the key business of Parliament openly and candidly without fear of prosecution or civil action. Broadly, the key business of Parliament is the enactment of legislation and the process of monitoring the executive and holding it to account. The dropping of a piece of litter within the Palace of Westminster could hardly be a proceeding in Parliament and neither could be an evening's discussion in one of the bars about the merits of various brands of Scotch Whisky. However, an MP questioning a witness before a Select Committee would clearly be a proceeding in Parliament and so would the raising of serious concerns in a debate in the Chamber. It is perhaps a pity that Parliament did not act on the recommendations in the 1999 report but a common sense view of the matter ought to prevail. The Terrorist Asset-Freezing (Temporary Provisions) Bill is being rushed through Parliament. It is discussed very well on the "Of Interest to Some Lawyers" blog. The purpose of the Bill is to reverse the Supreme Court's decision in Her Majesty' Treasury v Ahmed  UKSC 1 which was discussed on this blog 28th January (below). This is an interesting legal situation - indeed it is rather a mess. The legislation was declared void which means that it was void ab initio and therefore of no legal effect. The purpose of the Bill is to render that lawful which was unlawful but there will not be retrospective criminal liability. The Act will remain in force until the end of 2010 by which time, no doubt, further legislation will have been enacted. The whole process casts some light on the little understood Privy Council which legislates by means of Orders in Council. They are frequently used in Foreign Affairs and they receive very little parliamentary time. In 2009, the Privy Council met 11 times with, typically, only a handful of Privy Councillors in attendance. There was a considerable amount of law-making much of which is important though one cannot be so sure that everything is important - e.g. Orders approving the promotion of certain members of the Royal Family to the higher ranks of the Royal Navy (October 2009)! Surely, there ought to be a requirement that any Order in Council be approved by Parliament within a stated time period. This 2005 document describes the Privy Council as - "... an ancient and dignified instrument of government, which has its origins in the earliest days of the monarchy." It might also be said that it has the appearance of a body which lacks democratic legitimacy in its law-making powers. Addendum 10th February - Here is the Terrorist Asset-Freezing Act 2010. Money, money, money ….. a lot of stories are linked to it. Here are the lyrics to the well-known ABBA song. They seem to fit some of the news items currently in the media. The Crown Prosecution Service has announced that 3 MPs and a Peer will be prosecuted under the Theft Act 1968 section 17 (“False Accounting”). The alleged offences relate to claims for expenses. The accused men are claiming that the Bill of Rights 1689 will protect them - Independent 6th February. Bill of Rights Article 9 - "That the freedom of speech and debates or proceedings in Parliament ought not to be impeached or questioned in any court or place out of Parliament." Next there is British Aerospace Systems. It would appear that the criminal investigations by the Serious Fraud Office are being halted under a “settlement” by which British Aerospace pay, in total, some £285 million. How this works is described in a Press release on the SFO website. This has been a lengthy and difficult matter. In December 2006 the Attorney-General stopped the SFO investigating allegations of corrupt dealings with Saudi Arabia - the "al Yamamah" deal. We also see that the Bar Council is considering a judicial review of two consultations on Advocates Graduated Fees and Very High Cost Cases (VHCCs) which are being conducted by the Ministry of Justice (MoJ) and the Legal Services Commission (LSC) respectively. The Bar Council refer to the 9th Report (HC 322), the Public Accounts Committee which heavily criticised the MoJ and the LSC for the confusion and uncertainty about their respective roles in relation to legal aid, the absence of a clear strategic direction and poor management of legal aid changes at the Commission and the LSC’s lack of understanding of the legal services market. Maybe it is Parliament itself which ought to be bringing the responsible Ministers to heel? Finally, we have all heard of the (now former) England Football team captain, John Terry. The idea of using a so-called “super injunction” to prevent publicity of his extra-marital affair came to an end before Mr Justice Tugendhat in Terry v Persons Unknown  119 (QB). No doubt we will hear more of this matter because it certainly sells newspapers! It looks like this lady would have been better off if she had not offended at all - see Manchester Evening News. I also liked the one about the burglar who left a mobile phone at the burgled property. As Bystander points out, he is now in "the Scrubs." There are occasions when one wonders if the Police have lost all sense of proportion as appears to be the case with the use of the Police aircraft to catch an offending motorist - again see Manchester Evening News. Why not use a military style drone instead? See Daily Mail 23rd January. Then we have the story of Cherie Blair QC who, so it is said, suspended a man's 6 month prison sentence for 2 years because he was "devout." His crime? Well, he broke a man's jaw. Technically speaking it looks like there were 2 assaults: one in a queue and one afterwards. I suspect that there would have been mitigation including the fact that the offender had "no previous." See The Times which reports - perhaps with a certain soupçon of schadenfreude, that Cherie is to face an investigation. Finally, we see a certain amount of bizarre behind-the-scenes behaviour in connection with the appointment of the 12th Justice of the Supreme Court. The Times has covered this story and see Of Interest to Some Lawyers and Charon QC. This is an interesting story with the serious angle to it that the "powers that be" are far from getting this appointments process right. Do we need a written constitution? A written constitution seems to be an idea which is not going away. Gordon Brown raised it again yesterday (2nd February) in a speech to the IPPR. Is this just an idea based on the simplistic notion that because almost everyone else has one then so must we? Will it actually increase the powers of the government and reduce the freedoms of the citizen or will the reverse of that apply? I am not persuaded that we need one. Even if we have one, what should be in it and what should be left out? If we get one, how would it be amended? Who tells us what it means? The USA has one but it hardly stopped the President opening Guantanamo Bay. I would not entirely rule one out but I need a lot more persuasion of the need for it. Here is another person's view – Of Interest to Some Lawyers – blog. Addendum 30th March: The views of barrister Carl Gardner may be seen at Head of Legal. The Legal Services Commission— spends £2.1 billion a year on buying civil and criminal legal aid, mainly from solicitors and barristers, and a further £125 million on administration. …. the Ministry of Justice spends over £2 million a year itself on legal aid policy matters and on overseeing the Commission. A lot of wasted money there. It could have been better spent on … well …. maybe legal aid for those who need it. The Chilcot Iraq Inquiry continues. A lot of people see it as some form of court set up to allocate blame. That was never the intention and it is not a court and is not a statutory inquiry. There have been calls for a skilled cross-examiner who would act as “counsel to the inquiry.” That’s all very well but the whole thing would have become more legalistic with everyone who appeared being represented by a lawyer. Probably many of the things which people have felt able to say would not have been said for fear of any possible legal consequences. Overall, Chilcot has done a good job. The European Arrest Warrant – This was discussed on this blog back in early January. Mr Mann has brought a challenge in the European Court of Human Rights but that court is now awaiting the outcome of a hearing before the UK Supreme Court. Even David Blunkett, who introduced the EAW, says that he did not foresee overuse of the powers. Really! Here is The Independent’s take on the story. The right to bail: Is it disappearing or being whittled down? A fundamental element of English criminal law and practice is that the accused is to be considered “innocent until proven guilty” before a court of law. The “presumption of innocence” is the foundation of the now very heavily amended Bail Act 1976. The Act begins with the defendant having a right to unconditional bail but bail may be refused in situations provided for in the Act – e.g. that there are substantial grounds to believe that the defendant would commit further offences. From 1st February 2010 some further amendments to the Bail Act 1976 have come into force. This commencement order has activated sections 114 and 115 of the Coroners and Justice Act 2009. Section 115 – “A person charged with murder may not be granted bail except by order of a judge of the Crown Court.” This will apply whether the defendant is charged just with murder or with murder together with other offences. Hence, the right of the magistrates’ court to grant bail in a murder case has gone. It would appear that where a defendant has a criminal record involving an offence or offences of violence then it will now be far more difficult for him to get bail and, after all, one of the best pointers to a person’s future conduct is their record and the record may be one of the few items of definite information available to the court making the bail decision. These changes to the law are the government’s reaction to (a) the Weddell case and (b) the case of Peart. It is also worth noting the Swellings case. Weddell was accused of the murder of his wife. He was bailed by a Crown Court Judge and went on to kill his mother-in-law and then himself. Peart's was convicted of manslaughter on the basis of diminished responsibility. At the time that he killed Mr Whelan he was on bail, granted by the Crown Court, for burglary. Swellings appeared before Warrington Magistrates Court charged with assault on a girl. At first bail was refused but later, having pleaded NOT guilty, he was bailed. The case went to the Crown Court where, some months later, Swellings pleaded guilty and was bailed pending sentence. During the evening of the same day, Swellings assaulted a man. A couple of days later, he was re-bailed in absence over assault on girl by Warrington Crown Court but was remanded in custody by Runcorn magistrates for the assault on the man. A further week later, on 10th August 2007, Swellings pleaded guilty at Warrington Magistrates’ Court to the assault on the man but was granted bail pending sentence. The same evening he, with two others, murdered Mr Garry Newlove. The government’s reaction to these cases has been seen in some quarters as an over-reaction. The existing law was considered to be adequate. The Ministry of Justice consulted over their ideas to amend the law and 30 responses were received including several influential bodies such as Liberty and the Criminal Bar Association. "However, as we explain below we do not agree that there is any need for significant change to the current law. It remains unlikely that any person facing a murder charge would be granted bail. The two tragic high profile cases described in the consultation do not by themselves lead to a conclusion that the entire basis for bail determination needs to be overhauled." Apart from the political need to be seen to be always “tweaking” the criminal law, has this achieved any lessening of a risk that unforeseen will occur? It is also somewhat difficult to see the rationale for removing the jurisdiction of magistrates to grant bail in a murder case where the bail application is made at the first (and normally only) appearance before the magistrates. However, once the case has been "sent" to the Crown Court then it seems proper that breaches of bail should be determined by the Crown Court and not by magistrates. Grants of bail by magistrates in murder cases were very rare and, even if granted, the right existed for the prosecution to appeal the decision to the Crown Court. This change could be the portent of further changes to prevent magistrates giving bail in any case which is triable only by the Crown Court. After all, it will now appear to be illogical to continue to allow the magistrates the right to take a bail decision in a case where the defendant is charged not with murder but with, say, attempted murder or conspiracy to murder? When charged with an an indictable only offence, the defendant makes a brief appearance before the Magistrates who are commanded to “send the case forthwith” to the Crown Court: Crime and Disorder Act 1998 s51. If they cannot even consider bail, as is now the situation in a murder case, then what remaining point is there in this brief appearance before the magistrates? Take them to a Judge and be done with it.